Canadian underwear brand Garçon Model understands the benefit of customer loyalty. It was thanks to their customers and fans who late last year raised funds on Kickstarter that enabled the young brand to expand their collection for Spring/Summer 2014. In order to better understand what customers really want from their underwear, Garçon Model has launched a survey to get statistics on everything from your favorite underwear fabrics to colors and needs. This research will then be used to guide the brand’s future design and production decisions. To show their thanks every person that answers the questionnaire will be entered into a prize draw to win underwear from their new MIAMI Collection! So go answer the survey now, there's free underwear on the line! Survey closes June 1, 2014. Major underwear manufacturer Fruit of the Loom (FTL) has debuted a new, mainstream commercial featuring their new "no-ride-up" boxerbriefs. While I don't know about the quality of these undies (I have a feeling they still have that bargain brand feel), I do like the quality of the commercial. What a fun concept, and they really took it there with all the puns. I also appreciate that FTL is finally letting guys run around in their undies (instead of those damn fruit costumes) to market their product. Alert! This just in. 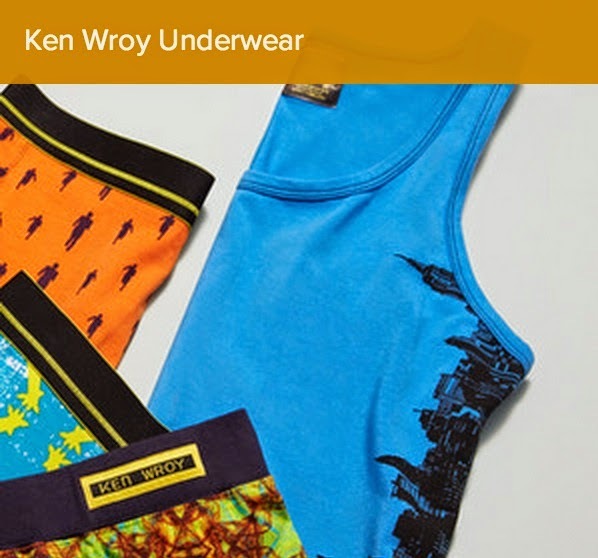 One of my favorite up and coming underwear designers Ken Wroy is having a flash sale on GILT. Go check it out now! If you don't know what GILT is, it's a members only designer sale place to find great deals on clothing. If you don't have an account yet you can use our exclusive link for an invitation. Croota underwear has just released its ‘Sprinkles’ range of men’s trunks, adding to a 2014 collection of underwear filled with unique styles, designs and fits. We can't wait to see the rest of the upcoming 2014 range! Croota’s ‘Sprinkles’ trunks offer a subtle splattering of colors against one of two monochromatic color options: grey or black. The range features a waistband that is a mixture of two distinctive materials (cotton and elastane), which give the Croota logo a reflective surface. Like its other ranges, Croota’s ‘Sprinkles’ range is a lo-rise glove-fit pair of men’s trunks. It was designed for a guy who likes simple designs and subtle flair. 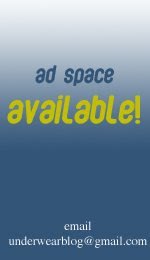 It is made with 95% breathable cotton and 5% elastane, and retails for $22.95.